Do you love animals? When it comes to your friends are you loyal to the end? You might not be a master of magic spells or your emotions but when it comes to your friends you know how to make even the direst situations seem like they're going to have a happy ending! If you're like us Hagrid was your favorite professor at Hogwarts. Yes, including Dumbledore believe it or not! Hagrid was there for Harry from the very beginning. He was the one who dropped off the newly famous infant at the doorstep of the Dursley's, wiping away tears from his oversized face as he got on his flying motorcycle to fly home. Hagrid might be tough enough to raise dragons and spiders but he certainly never puts a stop to his feelings. There are just too many reasons to love Hagrid. Wouldn't it be great to have someone that you could go to in order to vent your woes and get some questionable advice? Hagrid always has some cocoa and hard cookie like things ready to sooth his favorite student's sorrows. That is unless he's busy hatching some dangerous blast-ended Skrewts, probably our least favorite poisonous pet of Hagrid's history. 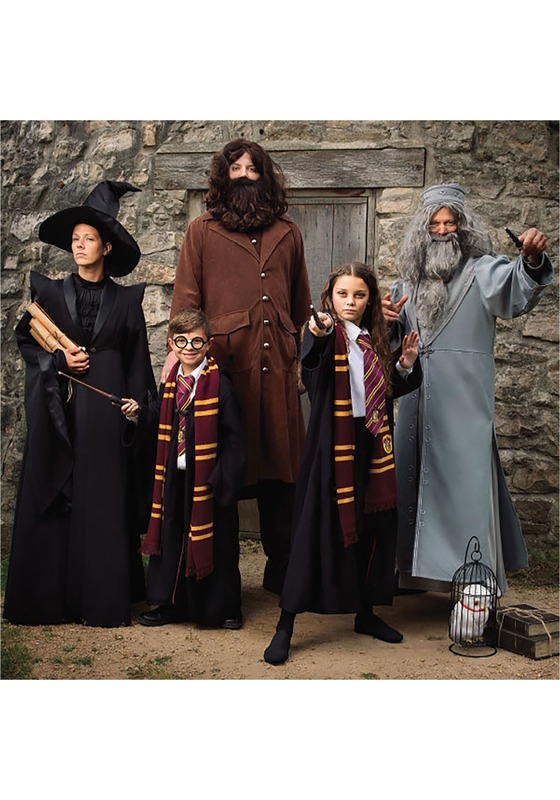 You'll look the part in this Hagrid costume. The long coat and under vest has silver buttons down the front. You'll be the epitome of a gentle half-giant in the shaggy wig and long hair. Bring along an umbrella in lieu of a wand to make the costume complete and if you can find a three-headed dog that would be pretty cool too!